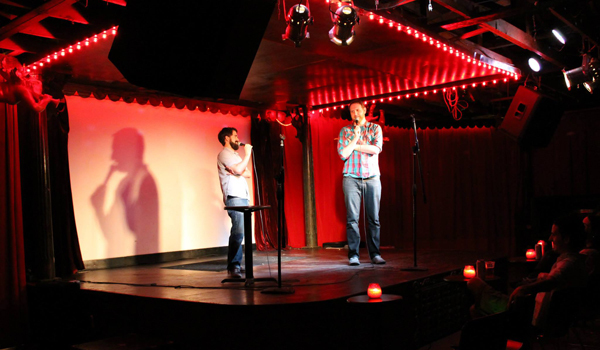 Two of Austin’s best up-and-coming comedians, Joe Hafkey and Mac Blake are teaming up to make Mondays a little cooler (wink) with Jazz Cigarette. Jazz Cigarette is a scientifically-booked, funny-as-hell stand-up showcase featuring the finest comedians from Austin and beyond. ONLY $5 at the door. $2 w/ a student ID. Service industry always gets in FREE. Presented by the SpiderHouse Ballroom, ColdTowne Theater, and the Texas Travesty. Come get some “funny stuff” with Joe & Mac, the 2nd and 4th Monday each month. Doors at 9pm. Jazz Cigarette on Facebook and Twitter.